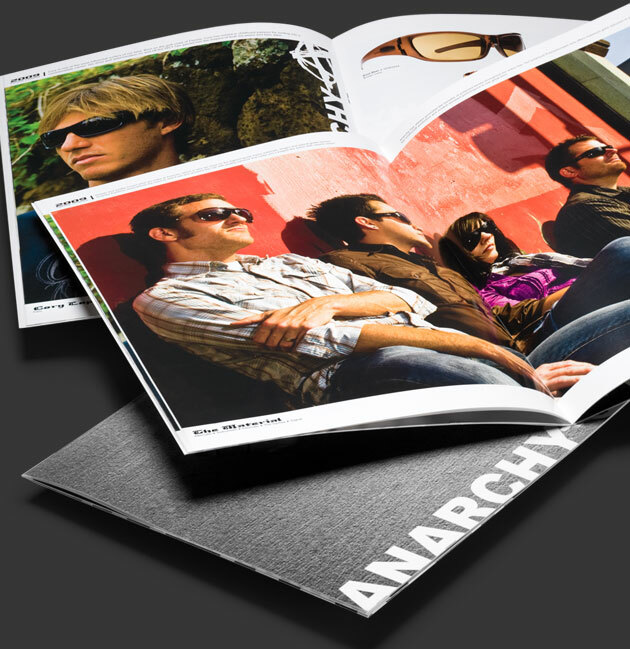 Anarchy Eyewear has been manufacturing sunglasses for the action sports market for 15 years. Our challenge was to update the look and feel of the Anarchy brand, while maintaining a connection to their brand history. Mad Media developed a print campaign that focused on sponsored athletes and musicians in authentic environments. The goal was to use great photography and clean graphic design to highlight the natural use of the products. This creative angle was implemented into a new catalog, the trade show booth design, P.O.P. displays, collateral material, custom HD video content, and the website. By creating a unifi ed brand message, Mad Media developed a fresh and credible look for Anarchy that is culturally relevant.